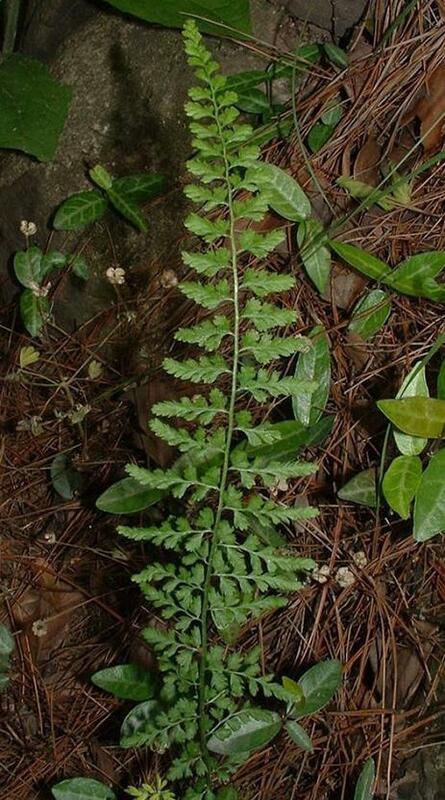 The drug is the dried or fresh whole herb of Asplenium exiguum Bedd. var. yunnanensis (Franch.) Ching (Family Aspleniaceae), growing in ravines, on rocks, and distributed in Qinghai, Guizhou, Sichuan, Yunnan and Tibet of China. Bitter, cold; liver and bladder meridians entered. Whole herb is used to clear away heat and promote diuresis, promote lactation, for the treatment of high fever due to common cold, cystitis, chyluria, mastitis, galactoschesis, orchitis, stranguria complicated by hematuria. Decoct 6~30 g. Proper dosage is for external application, pounded for applying.